Reach Cast from scumliner media on Vimeo. The dry fly fly fishing remains excellent on the Bighorn River and Wind River in Wyoming. This video is from the Mark and John over at Headhunters Fly Shop with their reach cast how to. 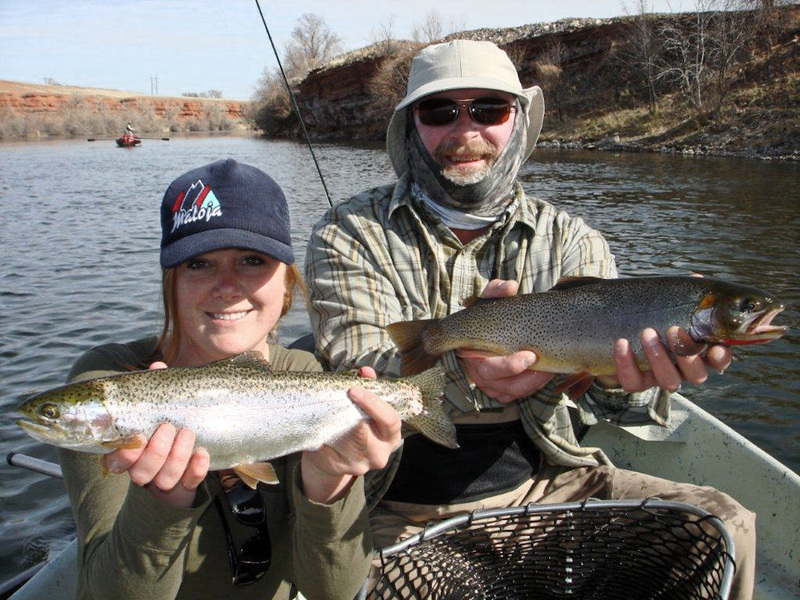 This is our preferred cast on the Bighorn River for rising fish as well. The Missouri and the Bighorn have many similarities in terms of dry fly fishing. 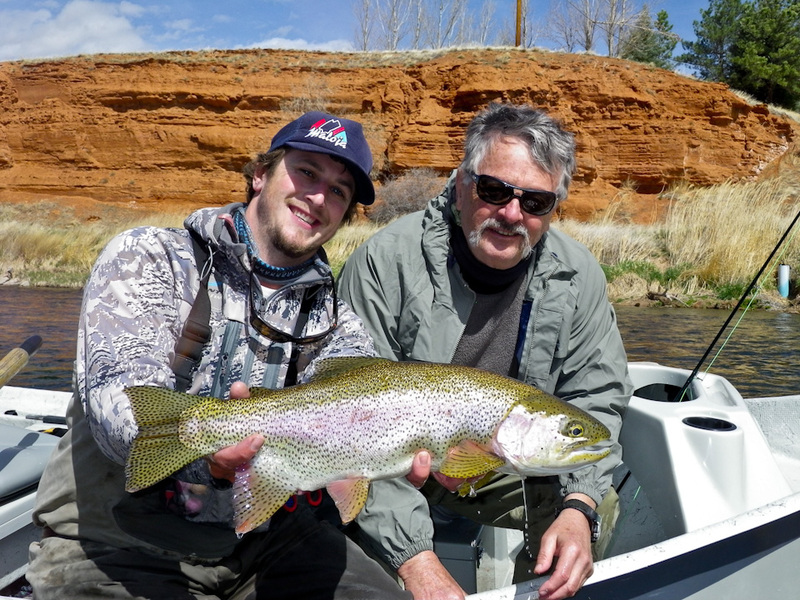 Our guides are familar with this cast and will teach it to you on the river. Check it out and give us a call. 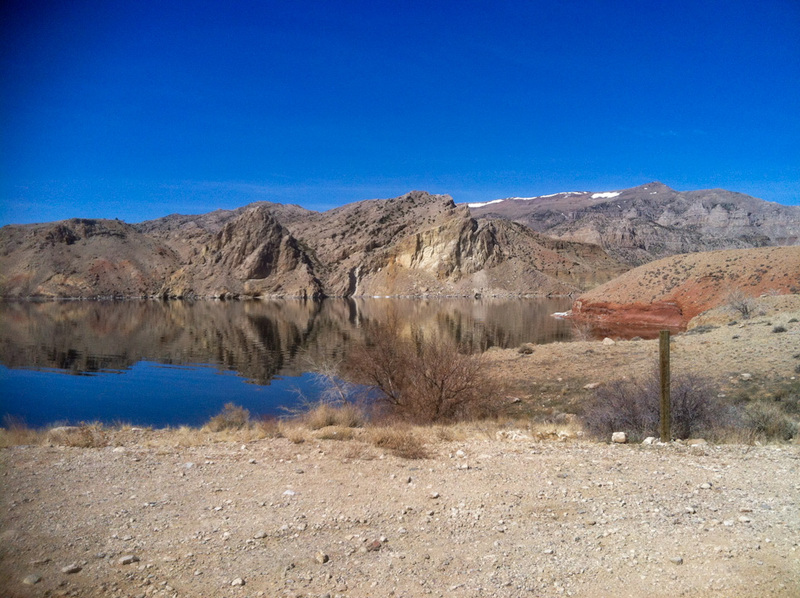 We have been busy guiding in Thermopolis this past week. Both Steve and Capt. Charles were out. Fishing has been excellent on the Wedding of the Waters. Our clients stayed hooked up throughout the day and most afternoons were spent hunting heads. In terms of tactics everything has been working! Nymphing: Has been steady. Most of the fish are done with spawning and are back in the river eating. Baetis nymphs, emergers, worms, eggs and leeches are all producing under the indicator. The “short- leash” has been affective in the afternoons when fish are suspended in the water column. This past week with the bright sun the fish were in the faster, heavier water hiding from boats and predators. Dries: This week looks perfect if we get cloud cover. Even without clouds the fish were still podded up eating dries. Keep an eye out for them in the riffles. BLUE WINGED OLIVES are the name of the game. Duns, spinners, and emergers are all catching fish. Keep it simple. Point fly should be a big paracahute adams and drop a smaller more realistic BWO off the back for the picky fish. Keep an eye out for single fish along the banks. The dry fly fishing will only improve! Get after it. Streamers: For those that hunt the one. Streamers have been producing. On the sunny days tone down the size of your streamer and you will be rewarded. Olive/white articulated streamers and small black buggers have produced best for us. Remember you will be casting a lot but it is entirely worth it. Give us a call to book your spring or summer adventure. 307.438.0740. Be sure to check out this Bureau of Reclamation site that shows the inflow, outflow and reservoir levels all in one spot. You are currently browsing the 307 Outfitters blog archives for April, 2012.